Surprise! 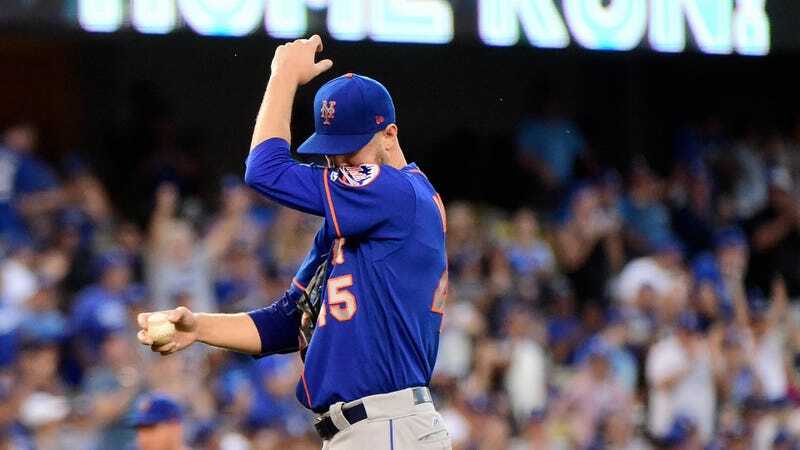 Certainly in the Mets’ case, the way things have happened, it is completely unremarkable that Wheeler was sent to the 10-day disabled list this afternoon with bicep tendinitis. He joins fellow starting pitchers Noah Syndergaard and Matt Harvey on the DL. (Along with many many many teammates who are not starting pitchers, including Asdrubal Cabrera, Neil Walker and Juan Lagares.) The new roster move means that Mets fans will be treated to the starting pitching of rookie Tyler Pill, called up from Triple-A today. Let the record show—the Mets remain all fucked up.